An estimated loss of 400-600 litres of kerosene oil. Oil staining and vegetation die back at the oil tank location. Contamination impact to the oil tank base. Contamination impact to soils from surface to 1.2mBGL. Migration of contaminant plume to track under ground services and reach the building. Vertical migration of contaminant plume to groundwater supply. 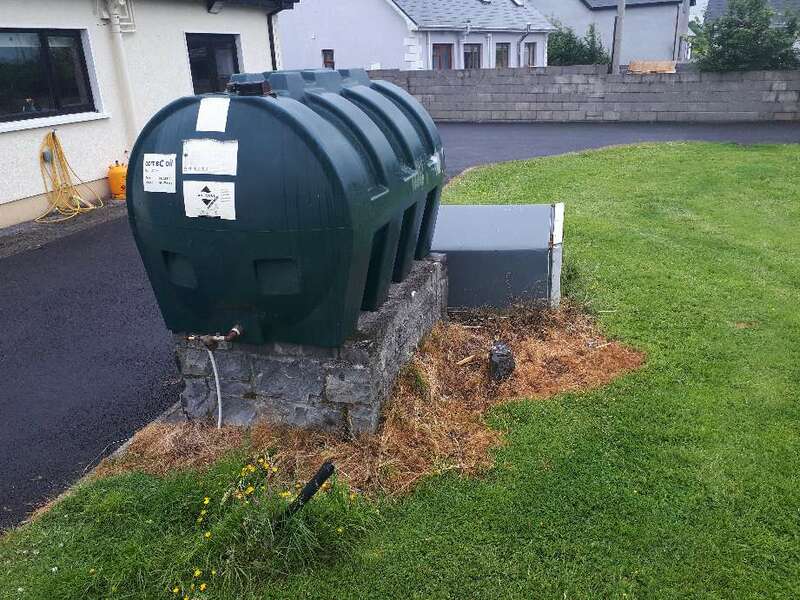 Disconnection and removal of oil tank. Set up of temporary tank and heating supply at property. Break out, remove and dispose of the impacted masonry support to the oil tank. Excavate, remove and dispose of impacted soil to bedrock. Installation of inoculation pipework to aid the application of residual impact to fill material beneath the tarmacadam. Implementation of bioremediation programme to treat residual contamination to the side’s and base of the excavations. Backfill excavated area with granular fill material, compacted at 150mm intervals. Preparation and reinstatement of the oil tank base at new location. Reconnection of the oil tank. Raking and seeding of topsoil.